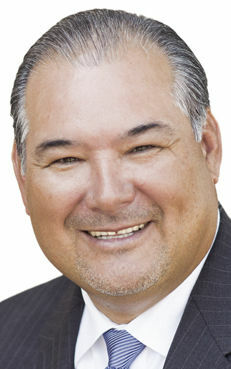 County Clerk Arturo Guajardo will stay put despite being challenged in the primary by one of his former employees. Meanwhile, voters will need to head back to the polls to choose the next county treasurer as none of the candidates in the four-way race secured enough votes to avoid a runoff. Guajardo took 67 percent of the vote or 26,981 votes compared to his opponent Rene Perez’s about 33 percent of the vote or 13,548 votes. Perez worked as an administrative assistant and deputy clerk at the Hidalgo County Clerk’s Office. The clerk is responsible for the upkeep of county records. Businessman David Salazar, 39, of Edinburg and former Hidalgo County Community Service Agency case manager Lita Leo, 40, of La Joya will face each other in the May Runoff election. Salazar received 12,280 votes or about 30 percent of the vote compared to Leo’s 11,333 votes or 27 percent of the vote. Challengers Eloy Avila and Raudel “Raudy” Maldonado earned 9,447 and 8,298 votes, respectively. Avila and Maldonado did not make the runoff. Current Hidalgo County Treasurer Norma Garcia will retire in January after holding office for more than two decades.